The Ruth Lee FireHouse-GEN2 Manikins provide a good balance between temperature and abrasion resistance. FireHouse manikins are perfect for fire and general training. 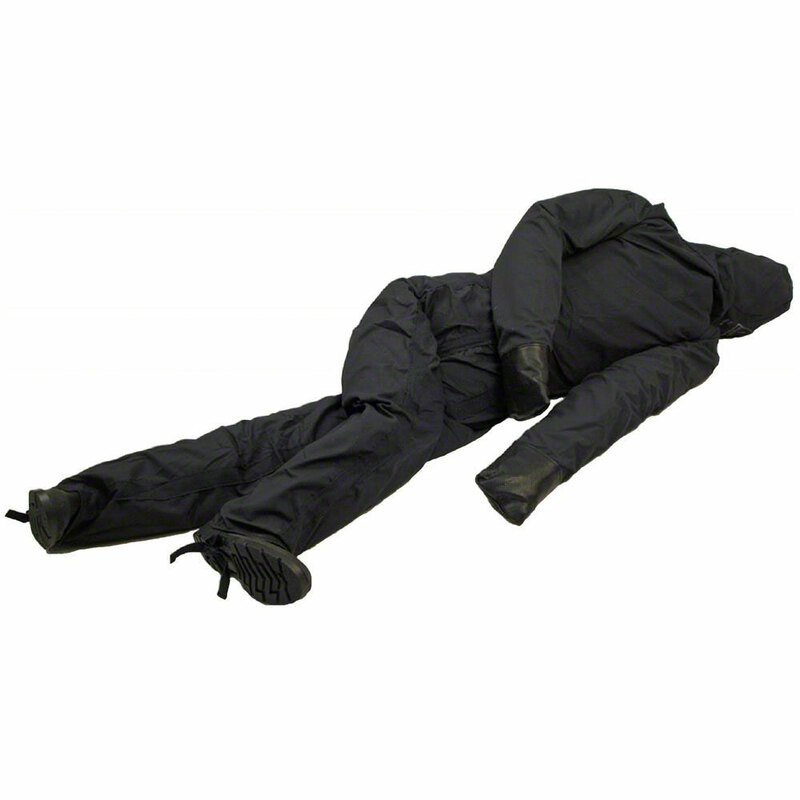 The manikin's body is constructed of the same flame retardant polyester (conforms to BS EN ISO 15025:2002) used in police ballistic/stab vests and reinforced with 38mm Nomex webbing as opposed to the polypropylene webbing found on the general purpose manikins. 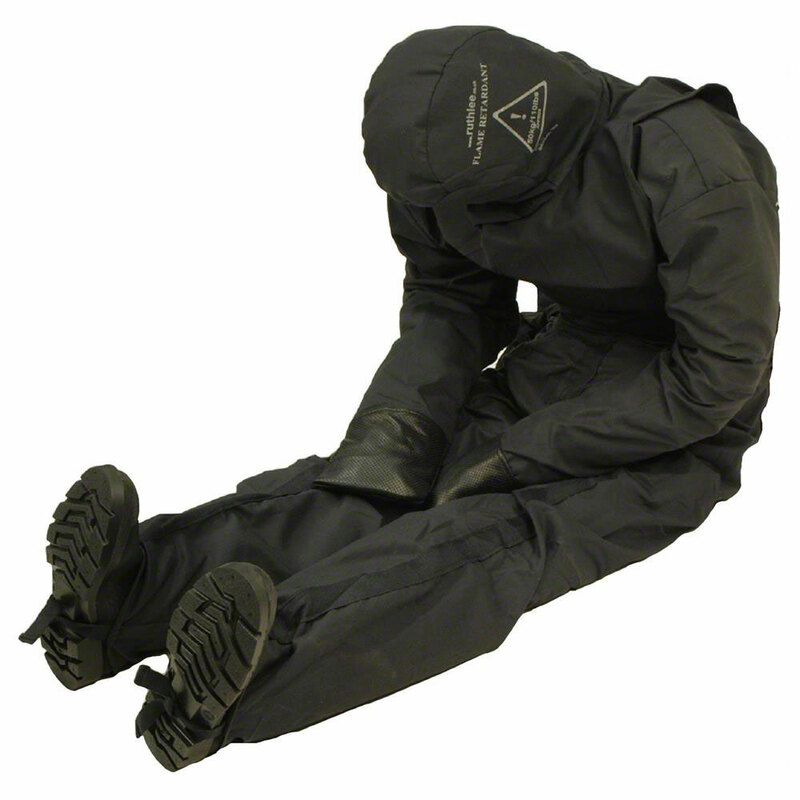 Standard polypropylene webbing will become brittle and melt at the high temperatures this manikin is designed to withstand. The coveralls are constructed using a Nomex blend material which offers good protection against high temperatures. It is permanently non-flammable and most commonly used in protective clothing to protect against heat and flames. 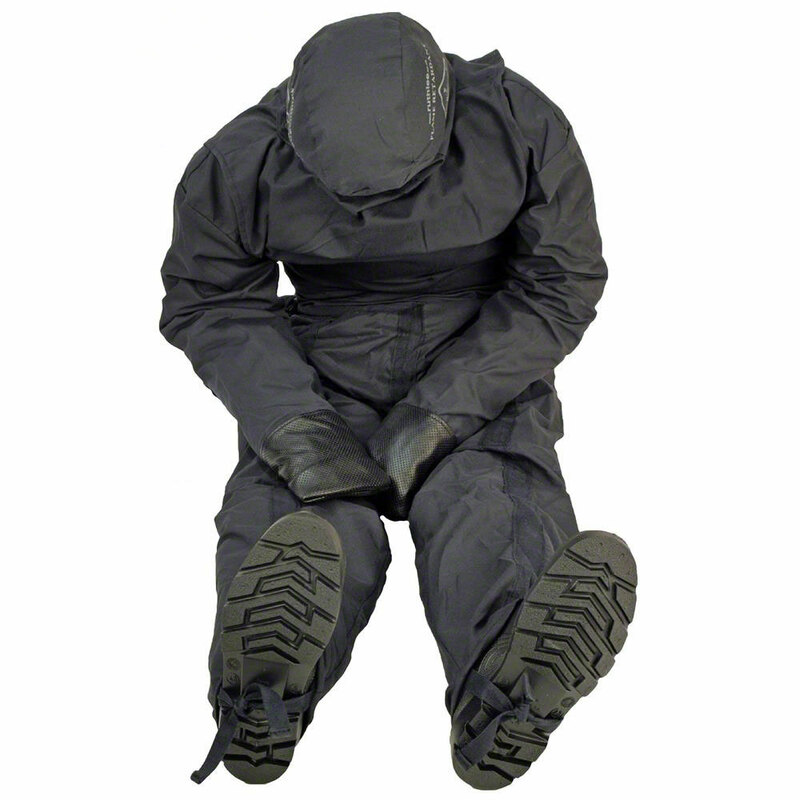 The protective coveralls are also reinforced using Nomex webbing to improve the abrasion resistance and strength. 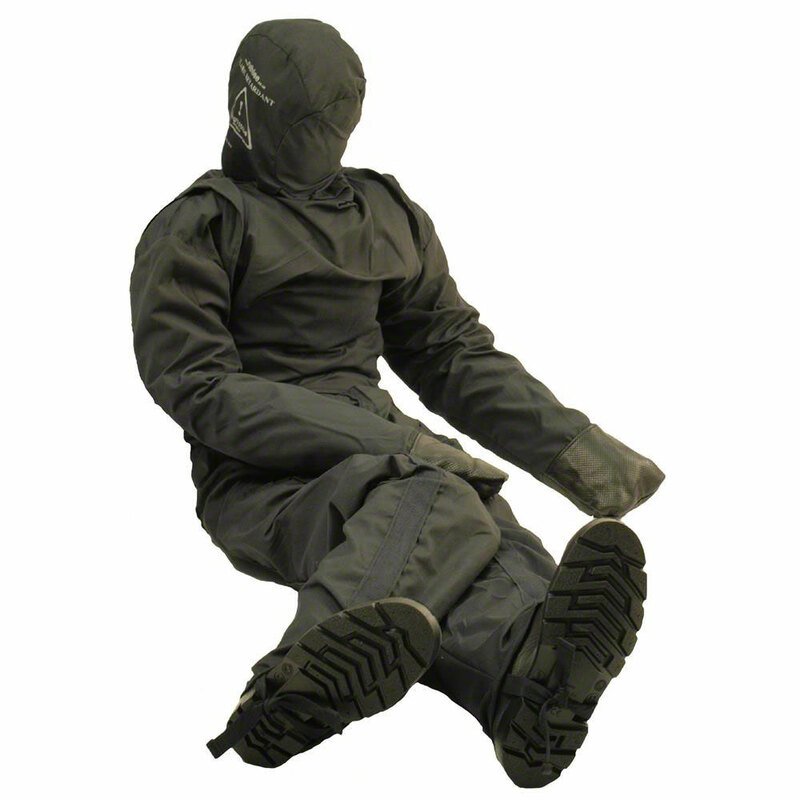 The coveralls are also fitted using 20mm Kevlar ties, as standard hook & loop fasteners melt at these high temperatures. The ends of the arms, which have been identified through testing as a high stress area, are reinforced with 5mm leather to provide extra protection. The Fire House Manikins are designed to withstand temperatures of 280-320 degrees F (140-160 degrees C), the average temperature at floor height for hot fire cell training and only starts to ‘fail’ at temperatures in excess of 350°F (180°C). We recommend donning an old set of turnout gear for use in which students will drag the manikin. This will add an extra-layer of wear protection for your investment. GEN2 FireHouse Rescue Training Manikins are available in various weights and sizes from infant to adult, 11 lbs to 154 lbs. Select which size/weight manikin you need from the drop-down window above.